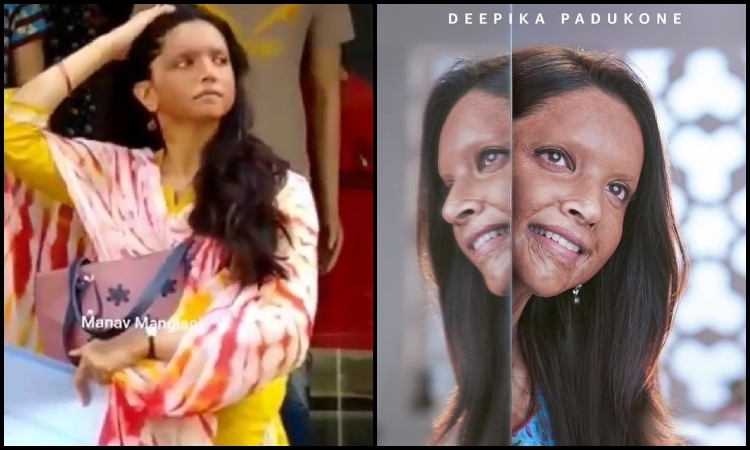 This LEAKED VIDEO from Chhapaak is a proof of Deepika's excellence! Bollywood actress Deepika Padukone is all set to narrate the epic saga of bravery and fearlessness with Chhapaak. The film features a story of acid attack survivor Laxmi Agarwal. We can hardly deny, Deepika is an epitome of talent and great acting skills. She surely miffed us with her performance in Goliyon Ki Raasleela Ram-Leela, Padmaavat, Bajirao Mastani and many more, but she never fails to set the bar high for herself with every performance she delivers. Such is the case with Chhapaak! The actress had left us speechless with her first look in Chhapaak. Deepika will be sharing screen space with Vikrant Massey, who will be seen playing the role of social activist and Laxmi's boyfriend Alok Dixit, the one who also found the Stop Acid Attacks campaign. The leaked video doesn't show a clearer picture of Deepika and Vikrant but from the little that you get to see, you can figure out the two are on a lookout for something. Not to mention, Vikrant has grown a heavier beard and has also put on weight for the role. Former Miss India- Pooja Bimrah GRACES the Indian Summer Cooler Fest! Deepika Padukone or Katrina Kaif? Who will be the LEAD in Don 3? ?